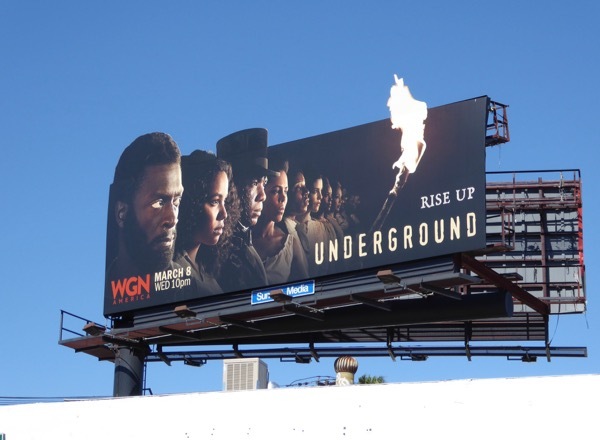 With the rampant racism and intentional rewriting of world history by the current presidential administration, from excluding Jews from the Holocaust, to segregated Black schools being called a choice and describing slaves as immigrants, plus the growing resistance mood of the country, the 'Rise up' tagline for the sophomore season of WGN America's Underground Railroad period drama has never been more timely. 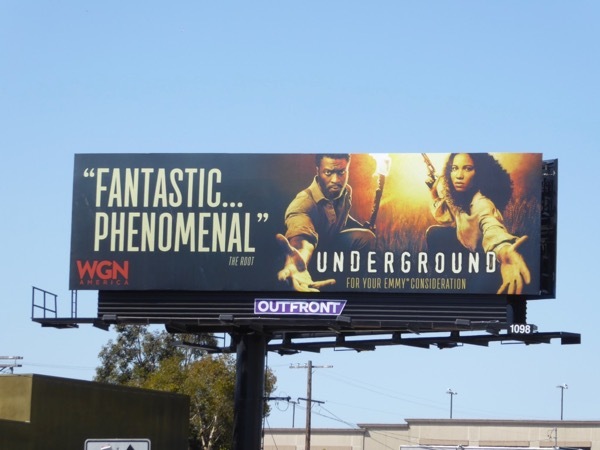 Set in 1850s Georgia, the daring band of African-American plantation slave escapees continue their quest to claim their freedom hundreds of miles away, but with the country on the brink of a Civil War they realize their harrowing struggle is more dangerous than ever. 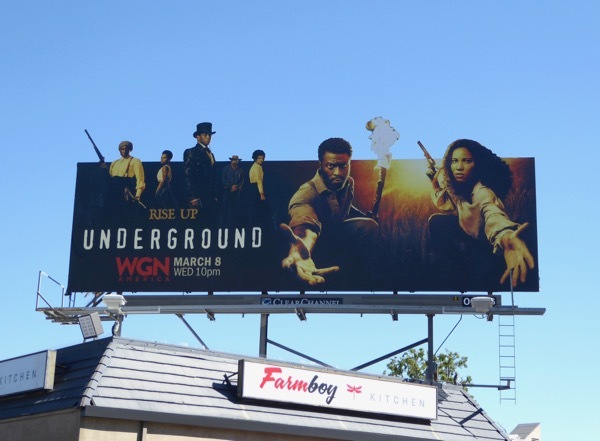 These eye-catching standard and special extension cut-out billboards were photographed along Pico Boulevard and Vine Street on February 22, 2017. 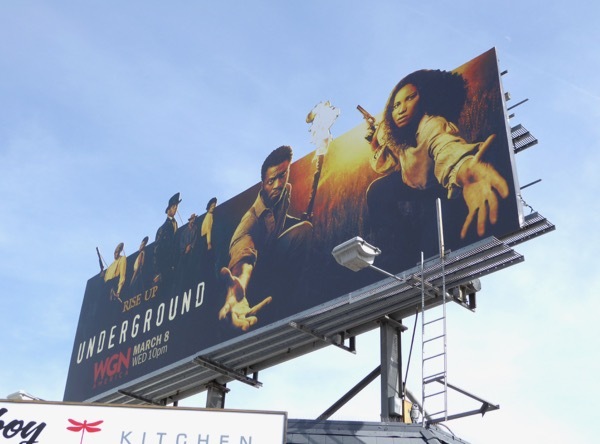 The ad creative with Aldis Hodge's 'Noah' and Jurnee Smollett-Bell's 'Rosalee' almost reaches out to passersby to grab their attention. 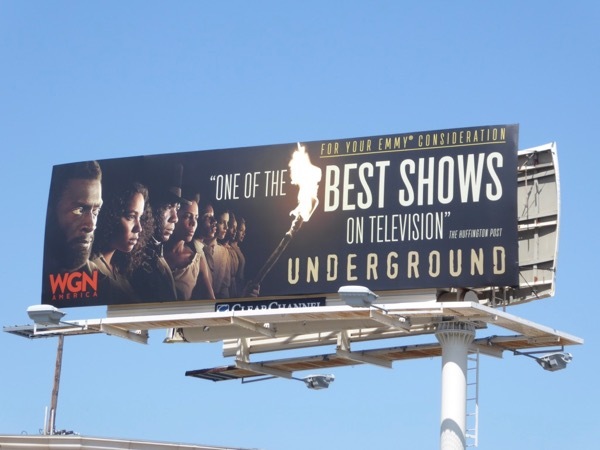 Fans of the show can also enjoy these Underground season one and Emmy consideration billboards. Some things, like freedom from slavery and true equality, are worth fighting for. 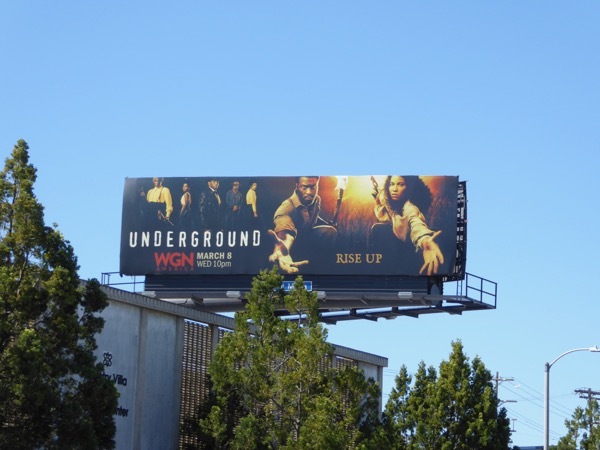 Rise up and be on the right side of history before it's too late. 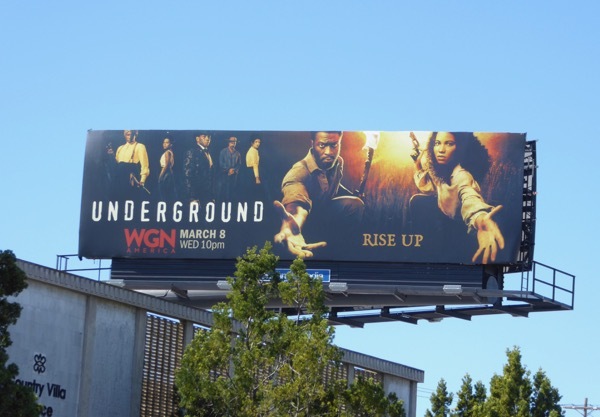 UPDATED: Here's also two billboards to garner Emmy consideration for the sophomore season of Underground. 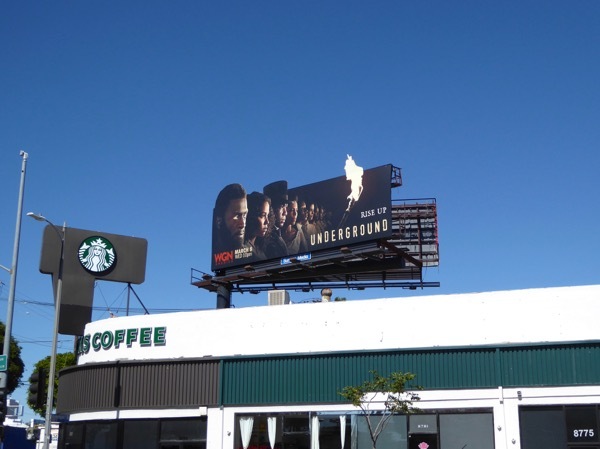 The first billboard was spied along Pico Boulevard, whilst the second ad creative was spotted along Venice Boulevard on May 28, 2017.